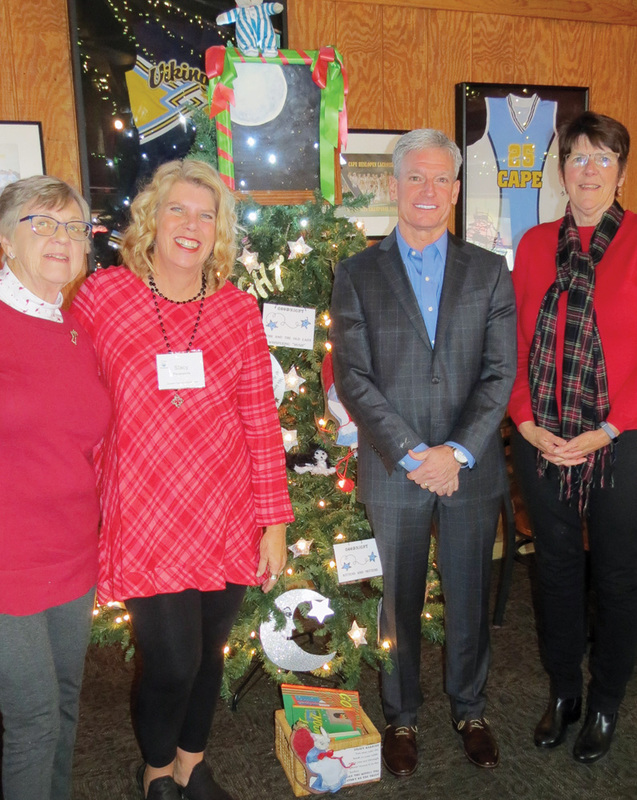 Read Aloud Delaware Sussex County Coordinator Stacy Penaranda, second from left, joins, from left, Sussex County Committee member Marge Bettors, tree sponsor Skip Faust and committee member Margaret Roe by the ‘Goodnight, Moon’ tree at Grotto’s Grand Slam restaurant in Lewes. Faust has sponsored the Read Aloud trees for 10 years. Longtime Read Aloud Delaware supporter Skip Faust read to his son Jack at the first tree Faust sponsored at the 2009 Grotto’s Grand Slam Parade of Trees. Jack Faust, now 17, will graduate from high school this year. With a little help over the years from the Very Hungry Caterpillar, Frosty the Snowman, and Clifford the Big Red Dog, Read Aloud Delaware’s children’s book-themed Christmas trees at the Grotto’s Grand Slam restaurant in Lewes have celebrated the group’s efforts for more than a decade. Donations from families and other guests at the restaurant have raised thousands of dollars for the children’s literacy program. Read Aloud’s mission is to ensure that each preschool child is regularly read to one-on-one. In Sussex County, more than 250 volunteers read to children in 37 childcare centers, preschools and kindergartens. When the Grotto’s corporation decided to end their Parade of Trees for area non-profit organizations, Read Aloud Delaware was given the opportunity to decorate one more tree for the 2018 holiday season. The tree highlighted the book “Goodnight, Moon” and raised an additional $1,200. The trees’ fundraising success has been attributed to the support of sponsors over the years. Past sponsors included area Realtor Wayne Leathem and his wife, Denise. And for the last 10 years, Skip Faust, a local Coldwell Banker Realtor, has sponsored the Read Aloud tree. 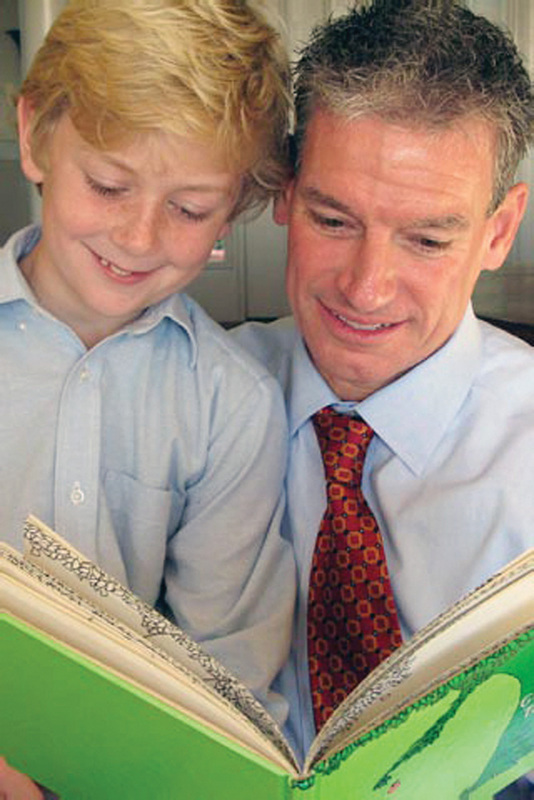 Faust recalled the first year of his sponsorship (2009) and a picture that was taken of him reading to his son Jack. He also recalled many bedtime requests for “one more book, one more story,” which Faust said he considers cherished time well spent. For more information on Read Aloud Delaware, contact Stacy Penaranda at (302) 856-2527.